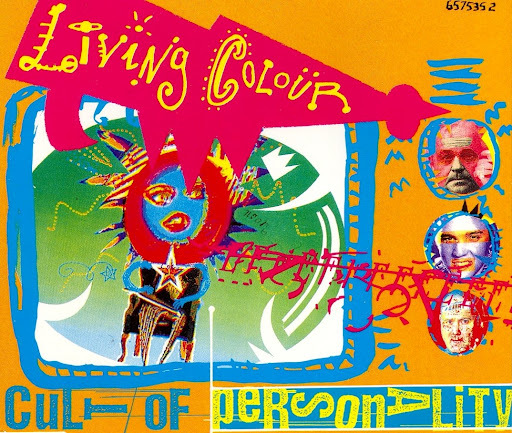 Song of the day: Living Colour – "Cult Of Personality"
There’s recently been a concerted effort by a few friends to persuade me that the music of the 1980s is nowhere near as bad as I think it is. I think it is the nadir of musical creativity from human beings of any time in the history of absolutely everything. My 80’s-lovin’ friends say my view may be a little… unbalanced. Although I thought that particular decade was dire, there were actually a few bands* and a few tracks here and there that I enjoyed – even loved. Which leads me to today’s song(s). Sometime in 1988 I was watching a late-night music program (it was probably Rock Arena, an informative show that played unusual, not-entirely-commercial music), and the host announced a couple of videos from a new band. The band was Living Colour, and when the first of the videos (“Cult Of Personality“) came on I became tremendously excited. Then the next song (“Middle Man”) appeared, and I was just as excited. I thought “Oh man – I gotta get that album.” Which I did. You are currently browsing the archives for the Living Colour category.